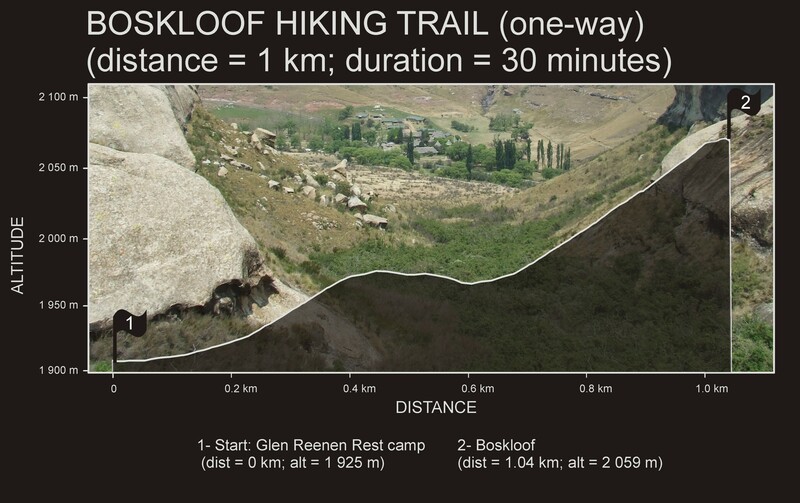 The route to Boskloof (Afrikaans for Bush Gorge) is a short, easy back-and-forth trail starting from the Glen Reenen Rest Camp. The entire route is only 2 km and it should take 30 minutes to get there and another 30 minutes to get back. Most of the walk is along a gentle upward path through dense vegetation. 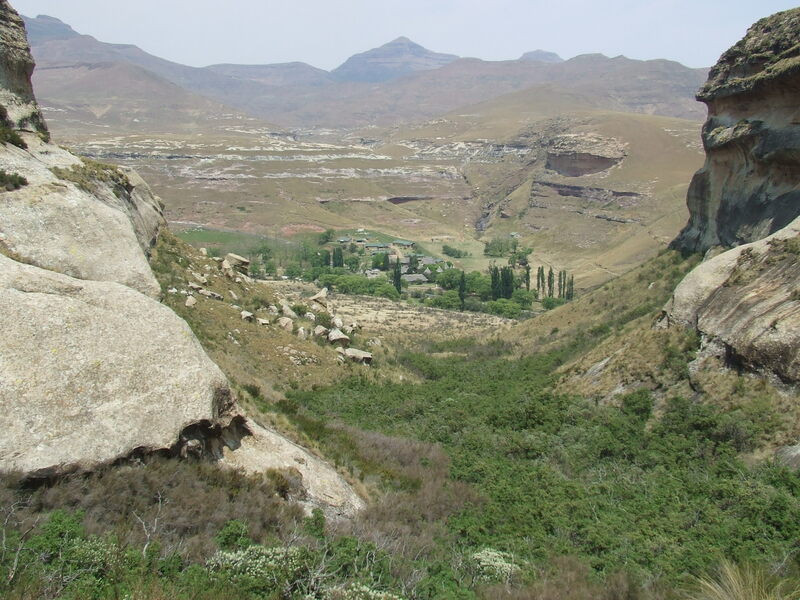 Near the end of the trail – at the foot of a overhanging sandstone cliff – the route rises above the vegetation line and gives a view of the Glen Reenen Campsite.